Why Do Doctors Support E-Cigarettes? Because They Work! Could the tide be turning for the electronic cigarette industry? Although most of the research, thus far, suggests that e-cigarettes are significantly less harmful than tobacco cigarettes and contain virtually none of the harmful toxins, the media and lawmakers seem hellbent on discouraging their use and restricting people’s access. They produce no smoke or tar and lack the laundry list of chemicals, yet public vaping bans are occurring across the country and newly proposed regulations are sure to limit people’s choices and restrict our access to these innovative new products. In a surprising turn of events, a report released earlier this month showed that doctors overwhelmingly support electronic cigarettes as smoking cessation devices. The study, published in the journal PLOS ONE, randomly selected 128 doctors in North Carolina and asked them about their attitudes towards e-cigarettes. The researchers found that two-thirds of doctors believed that e-cigarettes could be a useful tool to help smokers quit, and 35 percent said they had already recommended electronic cigarettes to their patients. If doctors are right and e-cigs are an effective tool for smoking cessation, not only could they save millions of lives but they could save our country BILLIONS OF DOLLARS in healthcare costs. While critics continue to attack the electronic cigarette industry, research overwhelmingly supports their safety and effectiveness. In the most recent smoking cessation study published in May, smokers were found to be 60% more likely to quit with e-cigarettes than with any other quit smoking product. But the research doesn’t stop there. Multiple, peer-reviewed studies have shown that e-cigarettes are just as effective, if not more effective that popular nicotine replacement therapies (NRT) such as the patch and gum. A contradictory study published in JAMA Internal Medicine a few months ago suggested that e-cigs DO NOT help users curb or quit smoking, but it’s important to note that researchers looked at a general pool of e-cigarette users, even those with no intentions to quit. “These products could be among the most significant health innovations of the 21st century – perhaps saving hundreds of millions of lives. The urge to control and suppress them as tobacco products should be resisted,” the letter stated. Ask any one of the millions of vaping enthusiasts worldwide, who are overwhelmingly former smokers, and they’ll undoubtedly attest to the effectiveness of electronic cigarettes. The transition time varies for each user, with some smokers quitting within just a few short weeks, and others spending months of back-and-forth, dual use between smoking and vaping. The huge advantage, as I see it, is the mimicked behavior of traditional smoking, combined with a wide variety of flavors that keep things interesting and slowly diminish the appeal of traditional tobacco and menthol flavors. I can’t even imagine smoking a regular cigarette now… YUCK! The appeal is completely gone. 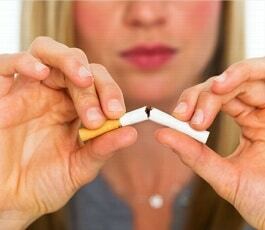 Plus, the ability to lower nicotine levels over time makes it much easier to curb your addiction, and quit entirely. 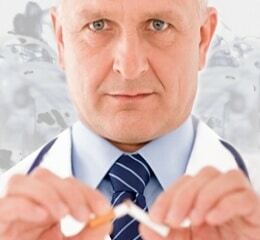 Why do doctors support the use of e-cigarettes for smoking cessation? Because studies show that they work, and anecdotal evidence from millions of vapers around the world support the claim.